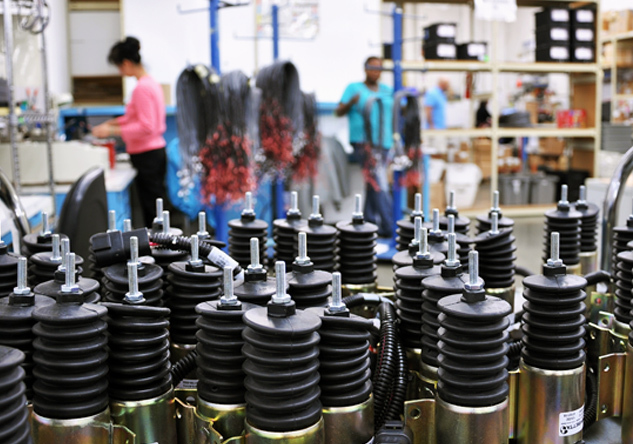 Our standard for quality is to provide you the assemblies you ordered per spec, and built correctly every time. All assemblies, whether produced domestically or by one of our offshore partners are fully inspected, tested, and certified for electrical performance, mechanical characteristics, and workmanship. We guarantee it. We are a UL and CSA recognized producer of wire and cable harnesses. Our manufacturing facility as well as our quality department use IPC/WHMA-A-620 as our standard; we even have certified IPC trainers on staff to assure that your products are built and tested to the highest industry standards. We utilize a number of automated multi-point cable harness test stations with hundreds of test fixtures. This test equipment automatically validates up to 768 connections, allowing us to verify the quality of any assembly from simple ribbon cables to complex wiring harnesses. Our multi-point Hi-Pot tester can be used to simultaneously check as many as 128 points at up to 1000 volts.